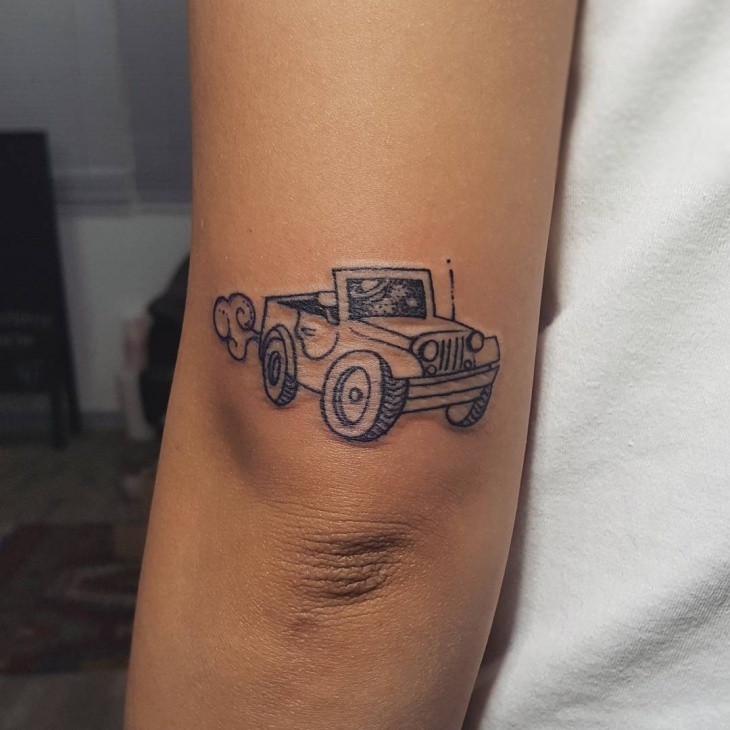 Tattoo designs that represent car, mechanical items, garage, etc are preferred by people who follow the cult of ska or steam punk. 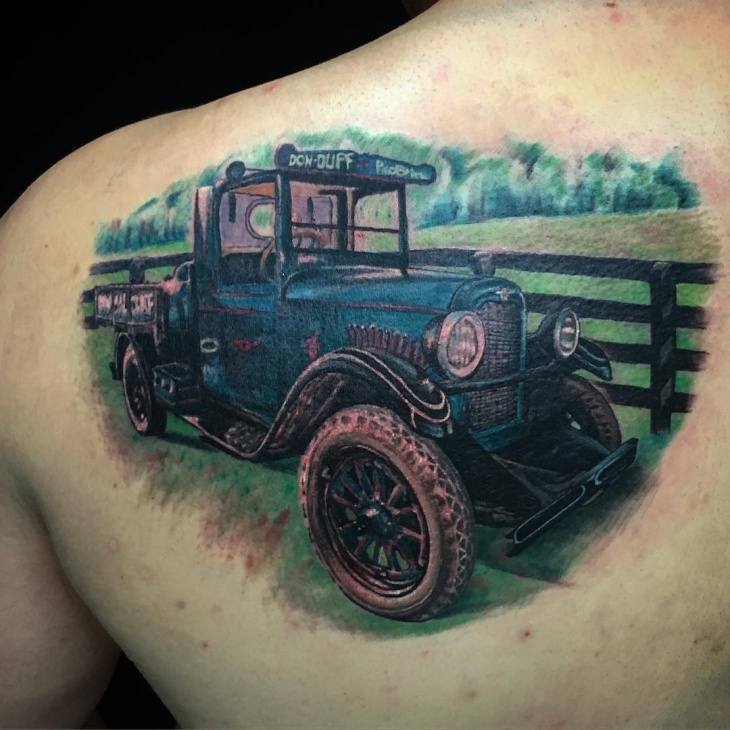 Car tattoo is an elaborate tattoo found on the back portion or the shoulders of muscular men. 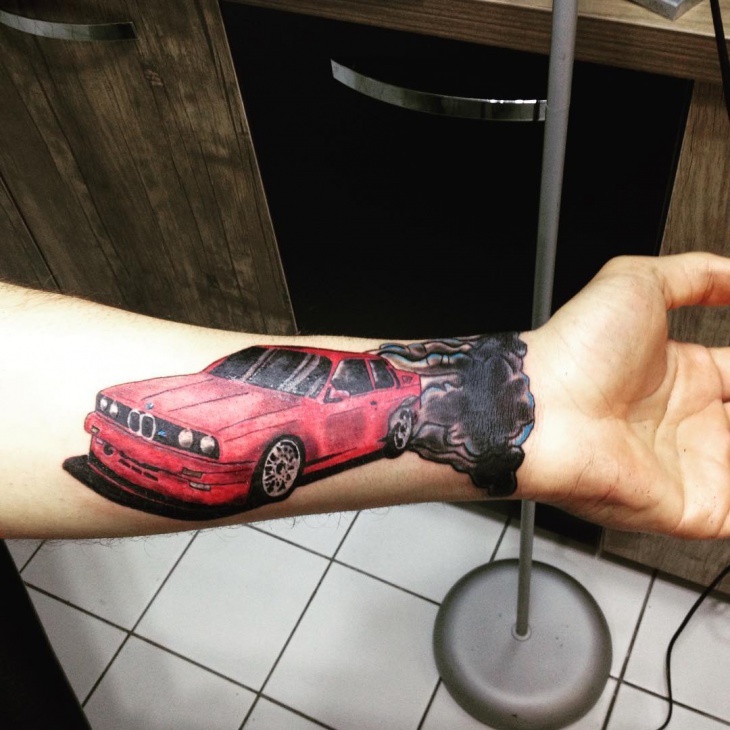 You can get a car tattoo on your arms as well. They are monochromatic in color and give a masculine look to the wearer. Alternatively, you can also go for the Polynesian tattoo that has sun as a part of the design. A man of any age can sport this design on their shoulder. 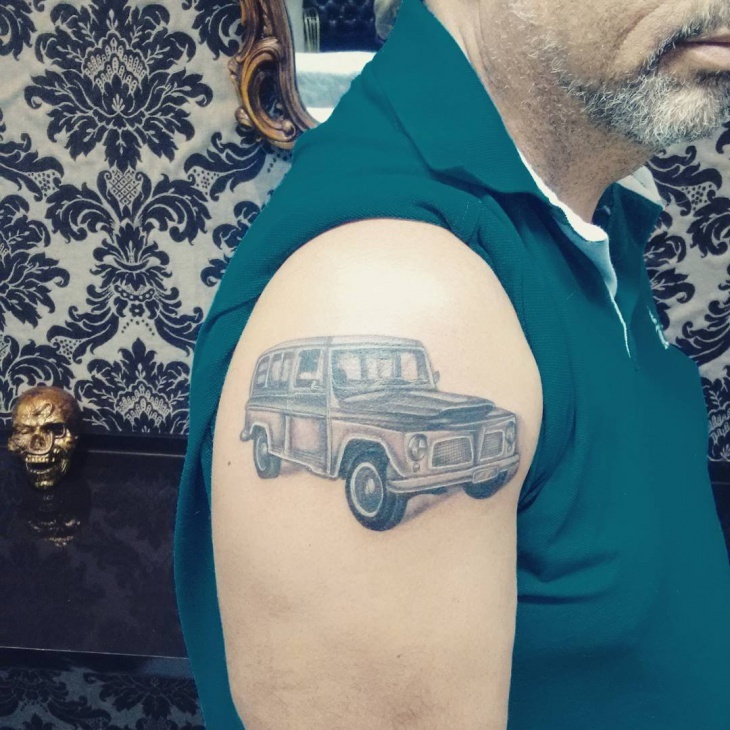 This is a tattoo of a jeep and is one of the good tattoo designs for men. Women who are bikers and into sports can use these tattoo designs on their arms or back. This looks good on arms and is suitable for men of age group above twenty-five years of age. This is not suitable for teenage boys. Are you into racing cars? 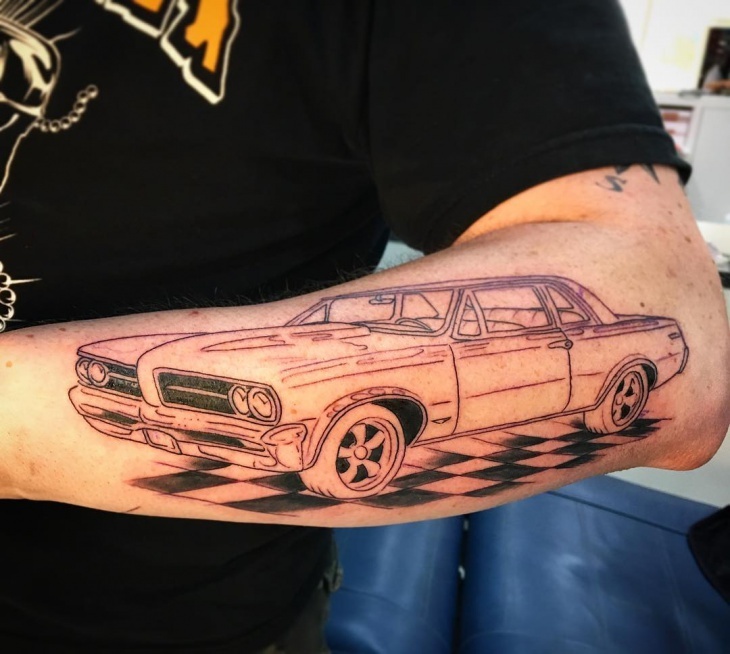 Flaunt your passions for racing cars with this tattoo design. 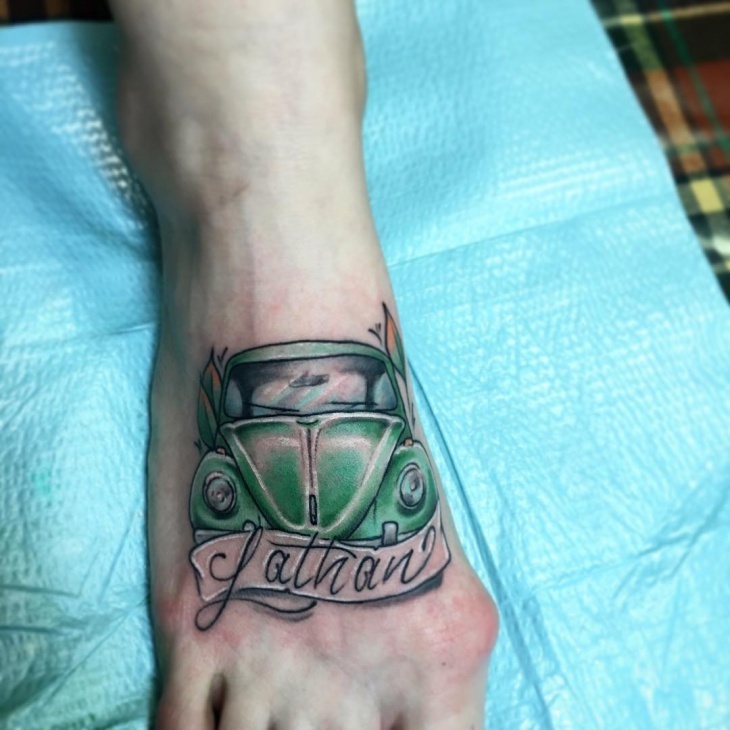 There is also text that is displayed in the tattoo. It is only suitable for men who work in garage. 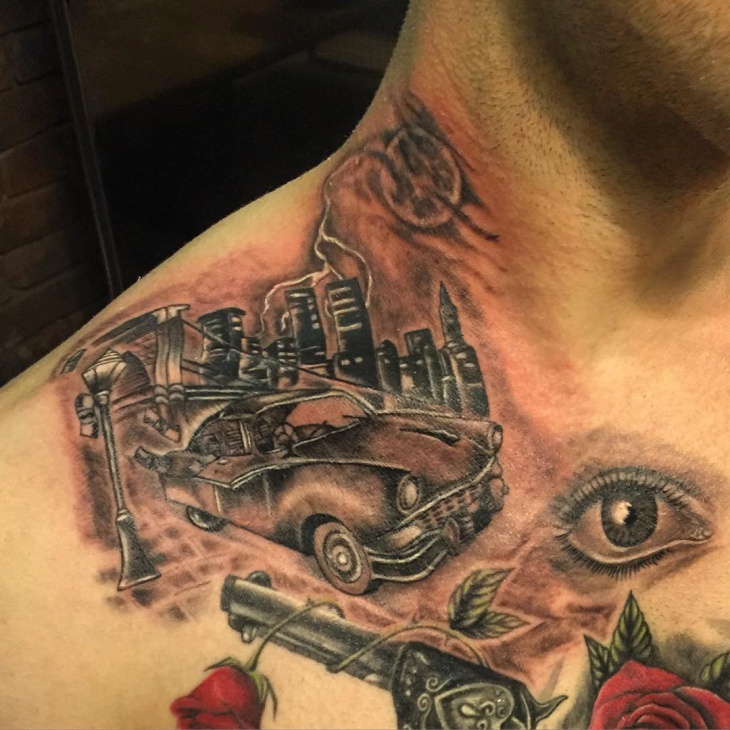 If you are a man working in a corporate, avoid these kinds of tattoos by all means. 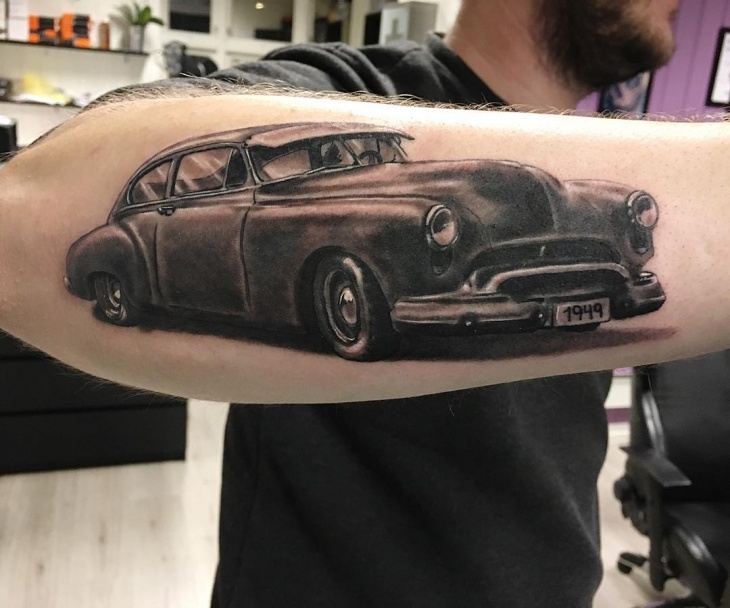 This is an artistic design, and anyone who has fascination for retro cars can go for this tattoo. 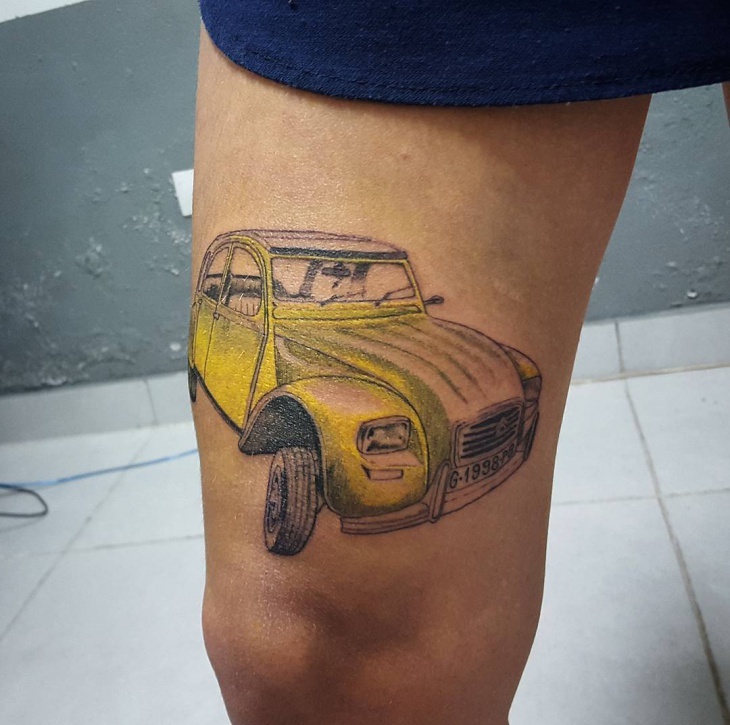 This is a simple and an elegant design in tattoos of car. 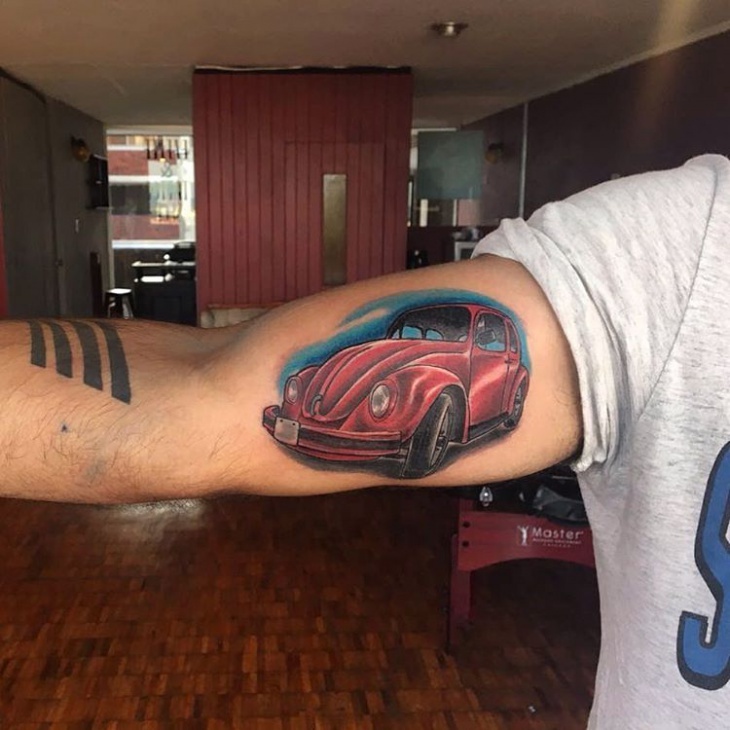 This is a colorful car tattoo. It also has a text art in yellow color. Tattoos represent your beliefs. You can choose a design that suits your profession, faith, or interest in something. 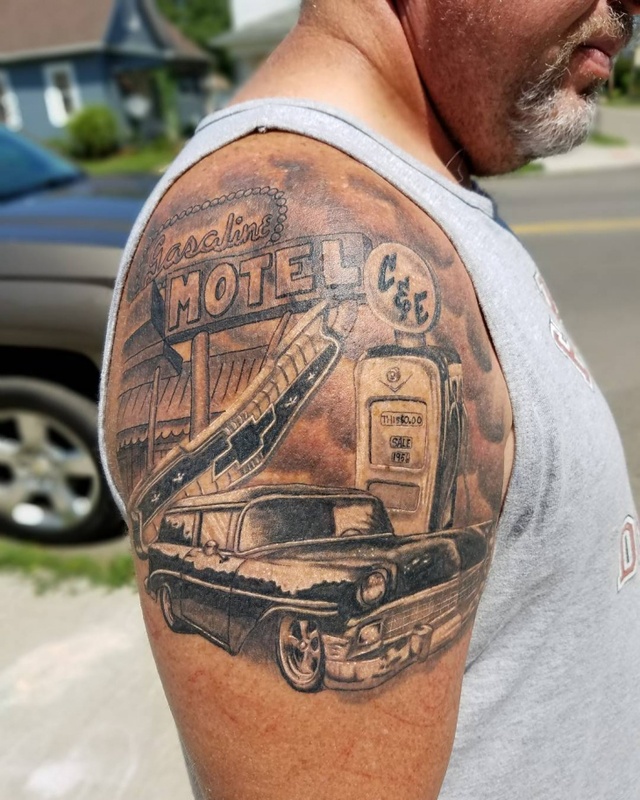 This tattoo represents a car standing next to a motel. 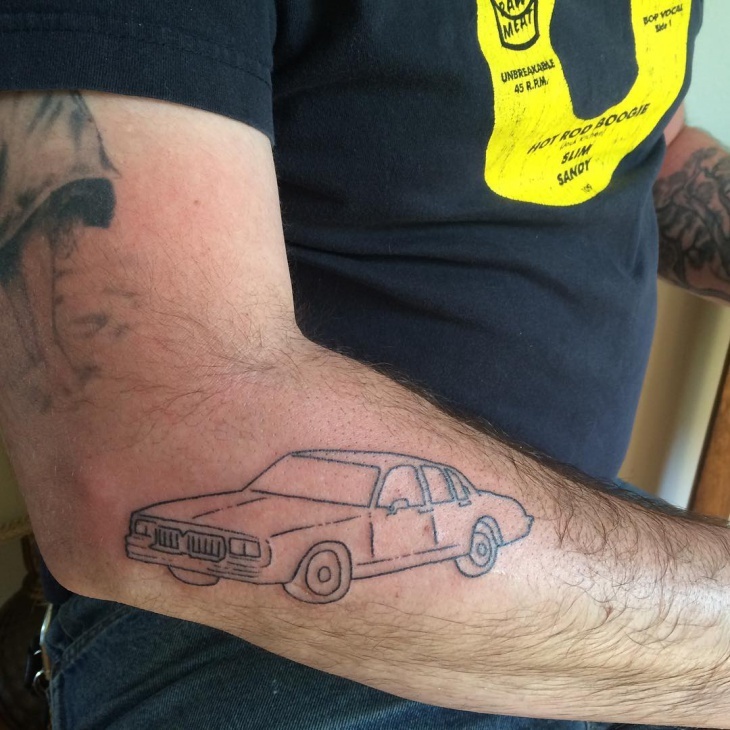 The entire exterior scene of the motel is tattooed onto the arm of a man. 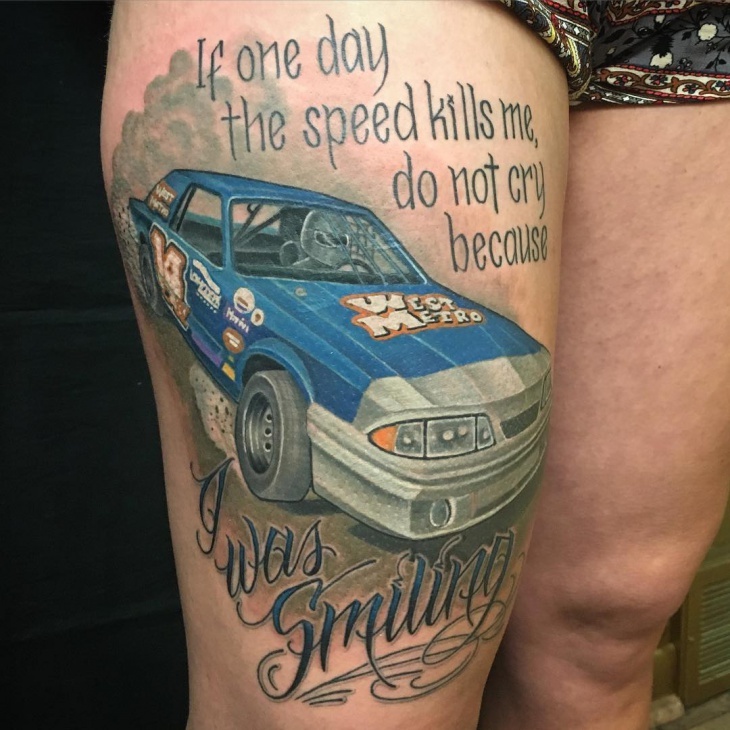 This is an interesting tattoo. 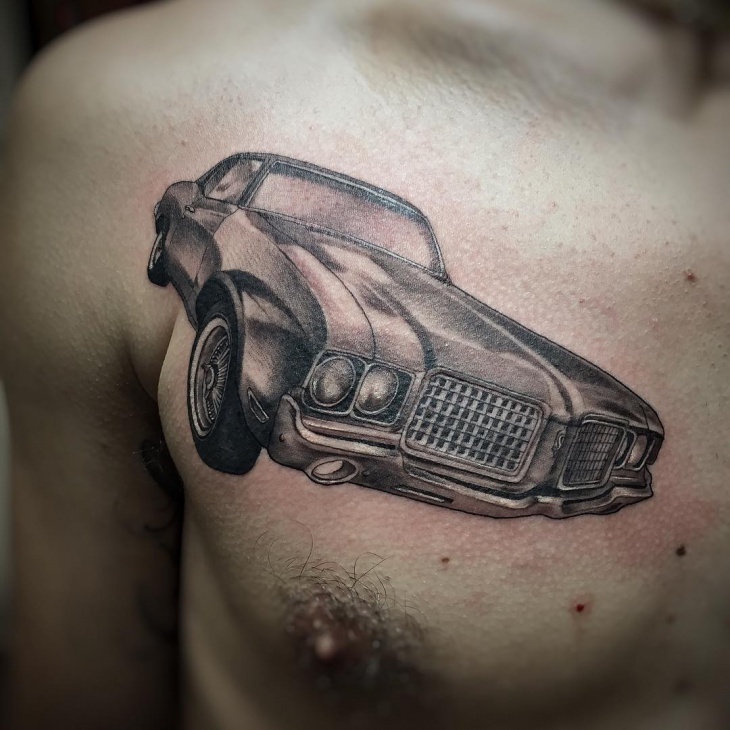 A moving car tattoo design is drawn on the chest. 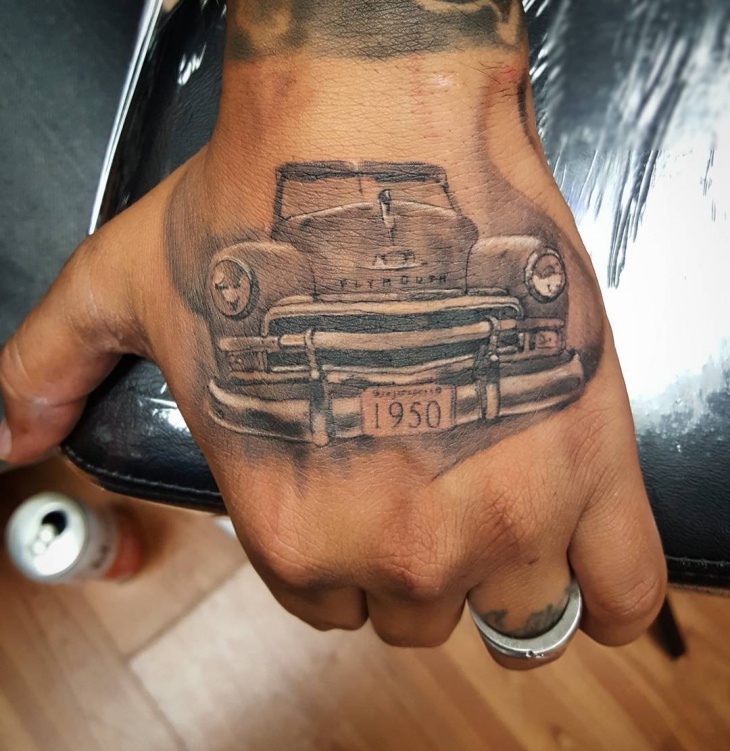 You can go in for a mechanic tattoo design that could represent tools, vehicles, or any other mechanical symbol. 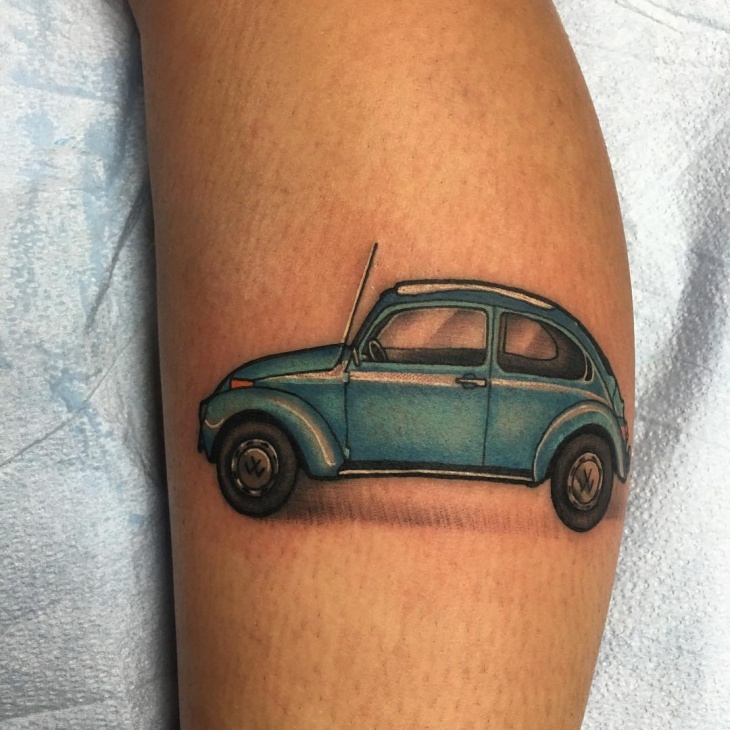 Women too can sport this traditional design of car tattoo. 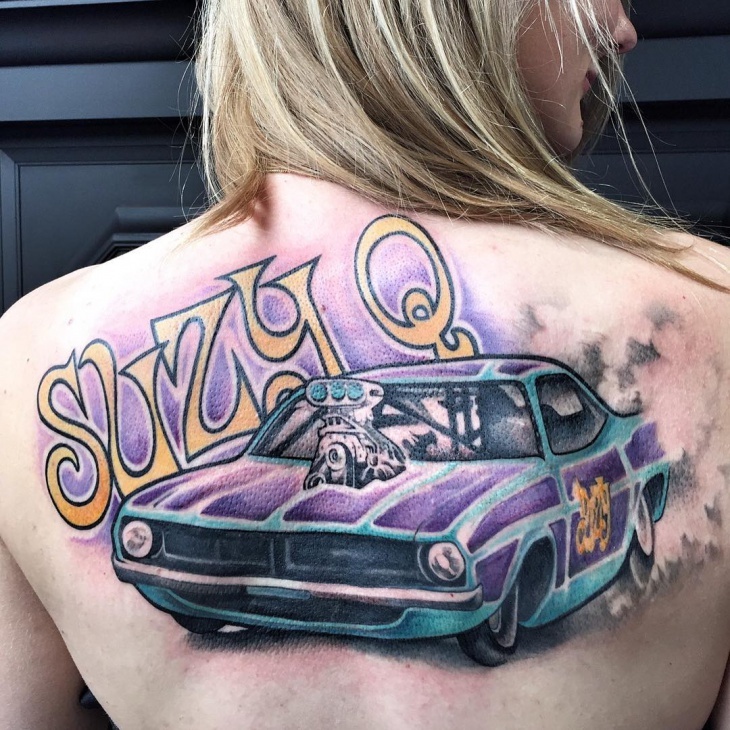 A purple colored car tattoo that is drawn with a swirly text and red colored hearts is suitable for girls. If you want to go for something different and not a girly design, this tattoo design could be more apt. 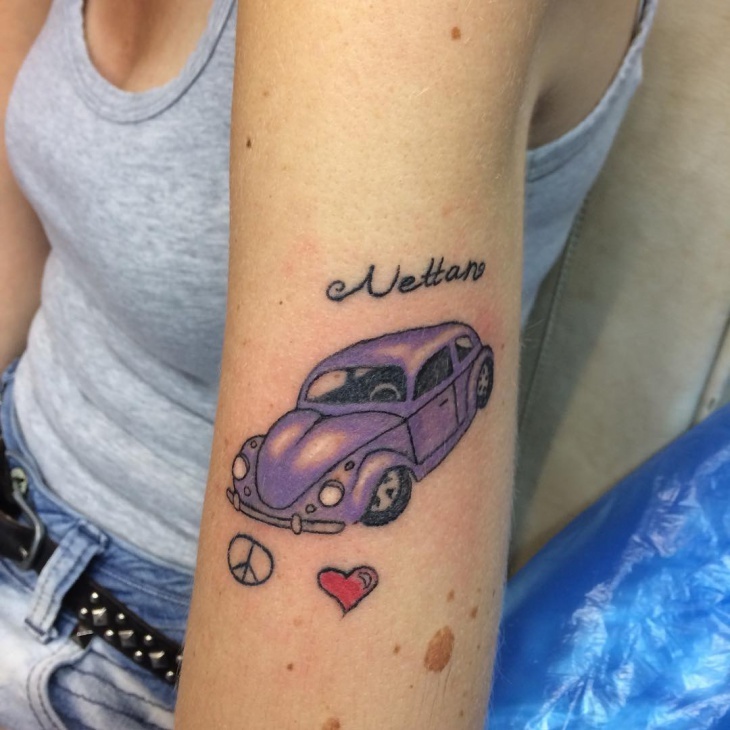 There is also a symbol of peace tattooed onto the arm, below the car. Wear dresses or clothes that do not hide this tattoo. 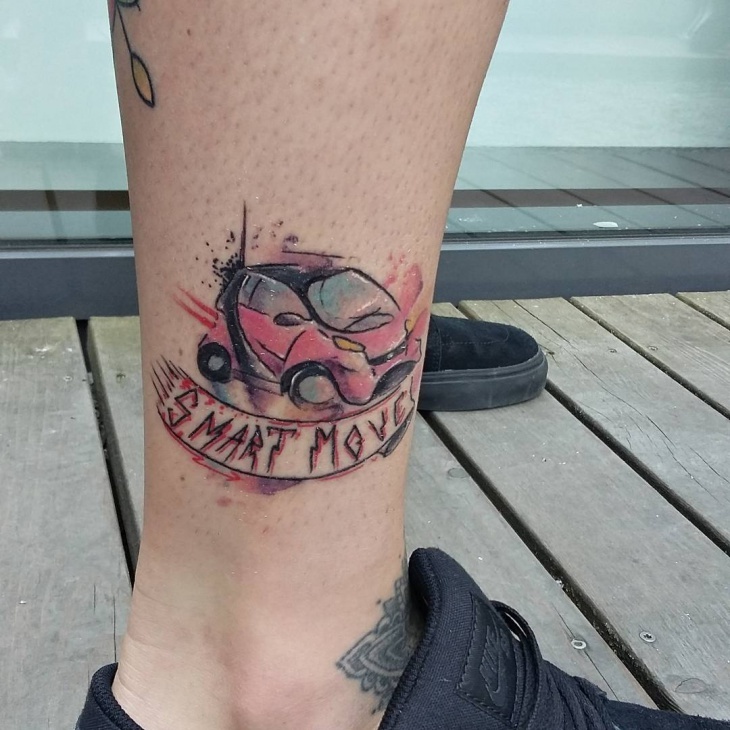 A red car design that has black smoke coming out of the rear end of the car is depicted in this tattoo design. It is drawn on the forearm and is suitable for young women and men. Tattoo designs come in umpteen motifs. 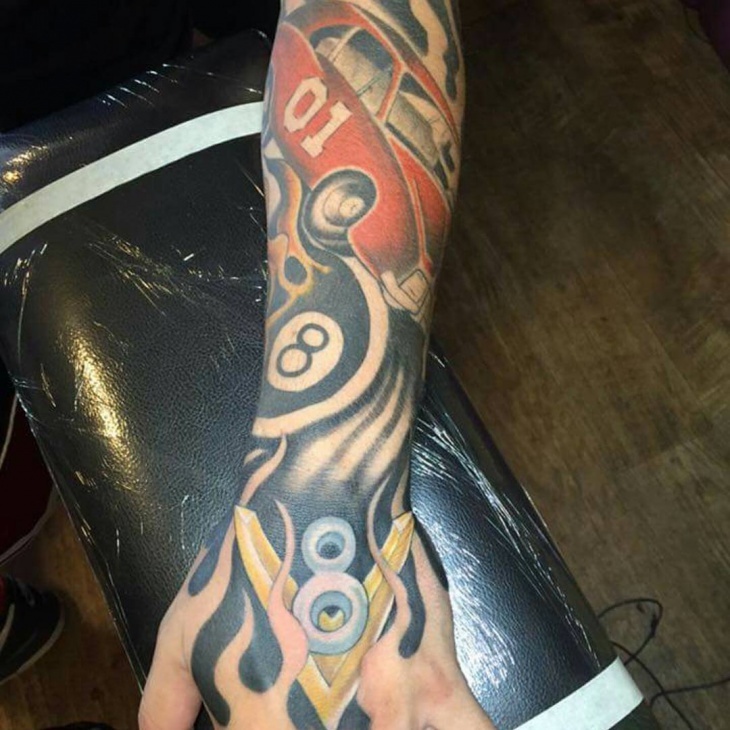 Sleeve tattoos could be elaborate or just schematic. 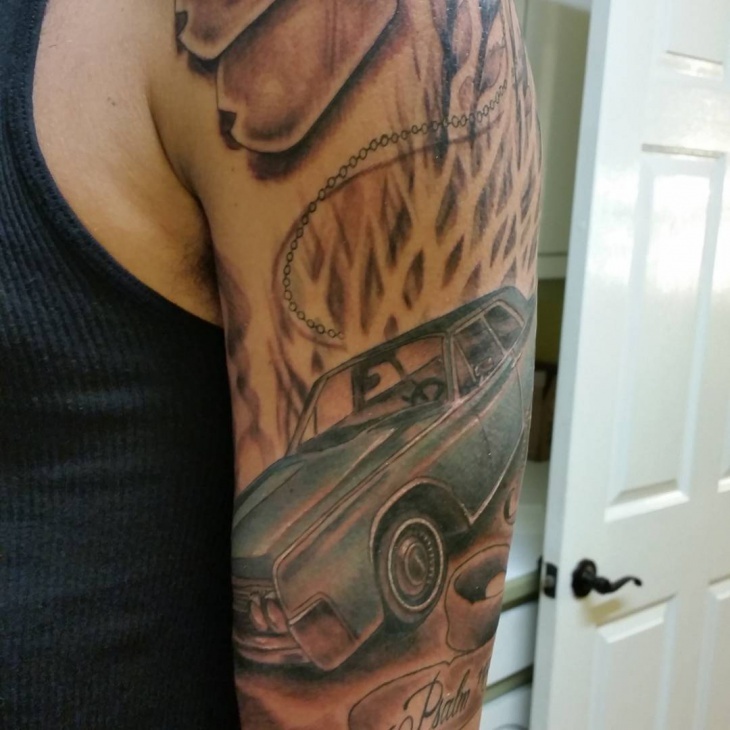 You can choose a theme or simply a single item that can be tattooed onto the arms.